FRANCE: Paris Hate March Turns Violent, Riot Police Use Tear Gas On Protesters - Joe.My.God. 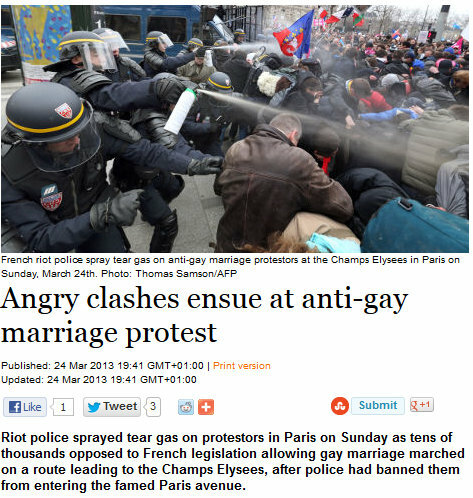 The Local reports that today’s hate march in Paris turned violent when a group of protesters attempted to march down the off-limits Champs Elysees, prompting riot police to respond with tear gas. 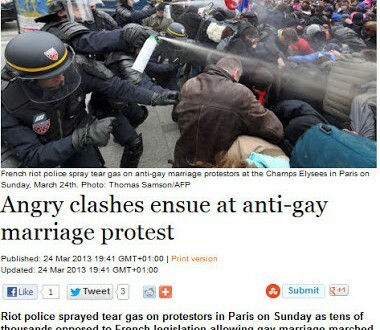 The second clip below is a news report on the march, but does not include the violence.